Based on time-honored nautical conventions, the rigging knife from Best Made is a maritime essential for your adventures on the high seas. 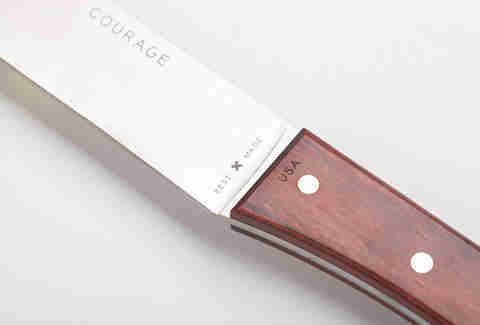 The heavy-duty knife boasts a 5.5" stainless steel blade and bridle leather sheath for protection. 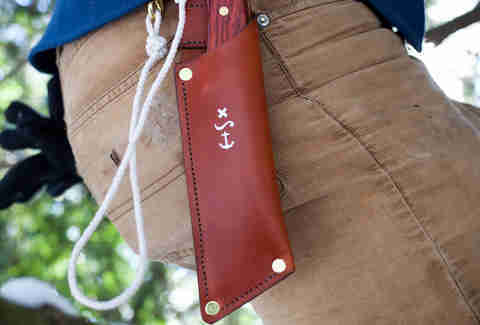 Attach it to your hip with its solid bronze snap hook and it's a pirate's life for you. Photo: Nate Bressler The heavy, well-balanced knife is 10.75" in total length and wields its sharpness in the blade rather than the point, so it's great for cutting rope. 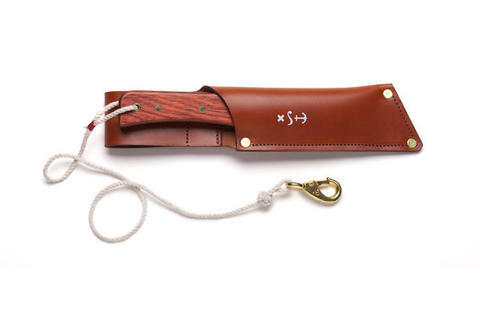 Your hand will fit naturally around the rosewood handle, unless of course your hand is a hook.